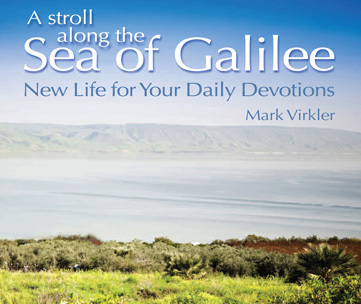 Home » Blogs » Mark Virkler's blog » Can I Receive Revelation Concerning How to Pray by Experiencing Someone's Pain in My Body? You are ministering to a person and you sense a pain in your shoulder and you therefore conclude the person you are praying for has a pain in their shoulder and needs prayer for it. What is this? Is this biblical? Is this compatible with Scripture? If this is a gift of the Spirit, can I become more skilled in utilizing this gift? What do you think? I believe this can easily fall under the category of being a gift/manifestation of the Spirit. Which of the following 9-fold manifestation of the Spirit do you think this would fall under? I've highlighted four specifically for your consideration. But to each one is given the manifestation of the Spirit for the common good. For to one is given the word of wisdom through the Spirit, and to another the word of knowledge according to the same Spirit; to another faith by the same Spirit, and to another gifts of healing by the one Spirit, and to another the effecting of miracles, and to another prophecy, and to another the distinguishing of spirits, to another various kinds of tongues, and to another the interpretation of tongues (1 Cor. 12:7-11). I would think the pain arising in your shoulder could be information being revealed by the Holy Spirit through any of the following: a word of wisdom, word of knowledge, prophecy or faith. It can be wisdom and knowledge concerning what and how to pray. It can be a prophecy, causing faith to be enlarged by making everyone aware that God knows the needs present and is revealing them so He can heal them. A number of prophetic people have written testimonies of feeling pains spring up in their bodies, and this informs them concerning what God wants to heal. Often they have worked on cultivating an awareness and sensitivity to this phenomenon. I suspect for many of us, if a pain suddenly arose in our bodies, we wouldn't even be conscious of the concept that perhaps I am picking up someone's pain nearby which I am to pray for. There is no reason to not become aware of this reality, and 1) ask God to inform you through this sense of feeling, and 2) pay attention to what you are feeling, and when pains suddenly appear in your body to ask the Lord, "Is there someone nearby You want me to pray for who has this pain?" Once you have received an answer, ask the person if indeed they might have a pain in their .... (shoulder, knee, etc.). If not, then it may be for someone else, or you could have missed it, which is fine as we are all on a learning curve to move more powerfully and accurately in God's healing ministry. Mistakes are part of growth, so celebrate and move on. Reminds me of the verse, "You have not because you ask not" (Jas. 4:2). So is there any reason not to ask? The eyes of our heart can see dreams and visions (Eph. 1:17,18; Acts 2:17). The ears of our heart can hear God's voice (Acts 28:27; Jn. 10:27). The emotions of our heart can experience God's emotions (Ezek. 3:14; Mk. 1:41; Gal. 5:22-25). So these could be viewed as visual, auditory and kinesthetic. Each of us has our strengths. Some are stronger as seers, some as hearers and some as feelers. Jesus was strong at all three. He only did what He saw His Father doing, heard His Father speaking, and then of course He felt His heavenly Father's compassion toward the hurting sheep who had no shepherd (Jn. 5:19,20,30; Matt. 9:36). Rather than saying, "I'm auditory, and I'm not a feeler," I propose it is better to not speak a word curse over ourselves by saying "I'm not" or "I can't." The true confession is "I can do all things through Christ Who strengthens me" (Phil. 4:13). I have held back God's purposes a lot in my life by telling Him what I hate and can't do. Hopefully I am pretty well over that now. My strongest leaning is to be auditory. I worked hard for a year learning to see in the Spirit, and then I have worked hard for a year learning to feel emotions, and now I can see a value on taking the time to learn to become aware of physical sensations also, as I do believe this is a way the Spirit can communicate to us. I always advise people to pray as you can, not as you can't. That means that while I am learning to use vision in my prayer life, I will let my strength continue to lead me, so hearing will be the stronger piece in my prayer life as I cultivate the ability to see in the Spirit. If I am overly focused on what I can't do, I get discouraged. So stay focused on your strengths while you practice developing new skills. Does the Bible have examples of picking up another's physical pain in your own body? Not exactly, that I am aware of. Closest thing might be the prophet's phrase, "The burden which the prophet Habakkuk saw" (Hab. 1:1). In Habakkuk 1-3 we find vision, hearing, and feeling (burden). Our bodies can feel the energy of the Holy Spirit flowing out of them (Lk. 8:45,46). Often it feels like warmth, heat, tingling, etc. The Greek word “energeo” is defined by Kittle'sTheological Dictionary of the New Testament as "active energy, to be at work." I have listed in this downloadable file "All Uses of Energeo” in the New Testament, to provide for you biblical foundation for the flow of the Holy Spirit’s power when ministering healing. Each of the verses in the paragraph below have the word energeo (or one of the other Greek forms of the word) in it. Note the vast array of things which God's power can do, and consider if feeling the pain another is feeling could be compatible with the things listed below. God energizes Christians by His Spirit, to accomplish His good pleasure (Col. 1:29; Phil. 2:13). The gifts one has, the ministry one is called to, and open doors to minister are “energizings” from God (1 Cor. 12:6,10,11; Gal. 2:7,8; Eph. 3:7; 1 Cor. 16:9). We are to labor according to the energizing of the Holy Spirit working within us (Col. 1:29). When we operate in the divine gifts God has placed within us, serving one another with these gifts, we build up and energize the body of Christ (Eph. 4:16). We should pray for divine energizing of our words as we share our testimonies of Christ’s work within us (Phil. 1:6). God’s energy within us releases God’s grace to us and this is FREELY received (Gal. 3:5-7). The energizing release of power for a miracle comes from God and is not a result of the works of the law but of hearing with faith (Gal. 3:5). So if the Bible doesn't exactly demonstrate, or forbid the behavior (e.g. feeling another's pain), then what do I do? Accept it? Reject it? Ponder it? My question becomes, "Is the behavior compatible with Scripture?" In my opinion, the answer is "yes" in this case, because it is a way of loving, a way of healing, a way of receiving discernment. If you are wired by God as a feeler, and asking God to communicate to you through this medium, I see no reason why He wouldn't do it. Plus, the fruit is good. I have heard many stories from people with this gifting ministering love and healing to another. Since we are corporately the body of Christ (Rom. 12:5), I believe we have a special connection with one another, and it goes beyond the three-foot informational field which is naturally transmitted out from everyone's being. When you add a quantum/spiritual understanding of the universe (consider #4 on that list), it is incredibly easy to believe that God has designed us so that we are able to pick up another's information. For those who would demand, "It must be clearly stated in the Bible in order to be true," my response is, well, Sunday school, public school and the Trinity are not clearly spoken of in the Bible yet many Christians believe these are true and acceptable. PLUS the Bible declares that not everything is stated in the Bible (Jn. 16:12; Jn. 21:25). God has truth which He did not reveal or state 2000 years ago. That doesn't mean He can't reveal it now if He chooses to! I want to be like Jesus, so I will cultivate hearing, seeing and feeling in the spirit realm and I will expand feeling so that it includes both feeling God's emotions and feeling any physical sensations He wants to reveal to me concerning pain in another's body, so I can pray and minister effectively.